My latest buy is the Nissin i40 flash for Four Thirds. I already have a Nissin Di466 Four Thirds but it lacks a rotating head (it only goes up and down) and the FP High-Speed Sync (FP-HSS) mode that will let the flash sync with shutter speeds above the normal flash sync limit of your camera (generally 1/160 to 1/200 sec). For those that take videos on their camera, there is also a movie light. For all the features of the flash, this is a pretty cheap unit. It sells for around $270 Australian dollars but I got mine on sale for just $199. That’s not much more than I paid for my Di466 a few years ago. The first thing you notice about the box is just how small it is. A little cube. Open the box and inside you find an almost cubic bag, a carbineer and quick guide. Unfortunately the full manual is a download and it contains information you really need to know about some of the features. Open the bag and more surprises. There is the flash itself which has a built in bounce card and wide angle diffuser which is pretty much standard fare these days. 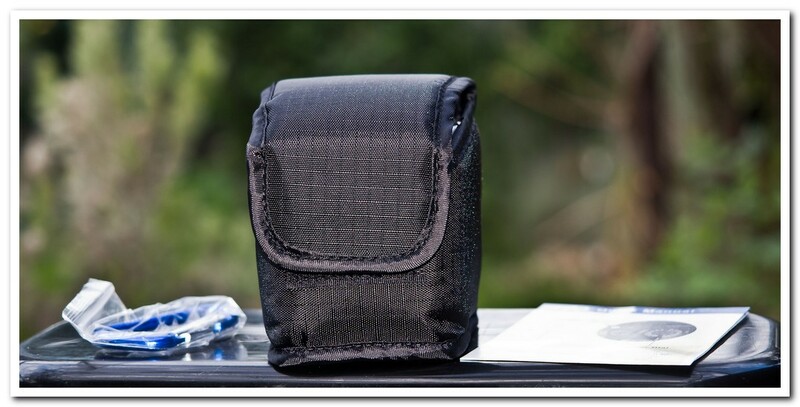 In addition, the bag has space for the flash stand and a soft box. Nice that it all fits into a neat package. The case has more padding than the pouch you get with the Di466 but I do prefer a flatter shape for packing into a camera bag. That said, there is no room for accessories in those pouches so it is just a matter of getting used to it. It seems pretty good in most respects. A nice textured plastic body that appears very solid and a much nicer feel than the smooth and semi-shiny plastic of the Di466. 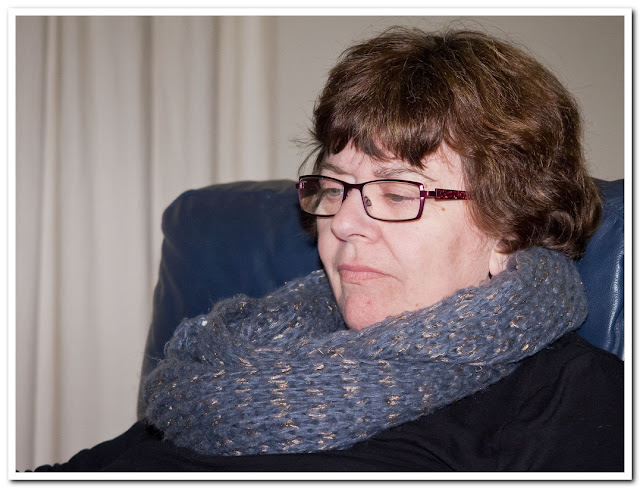 The bounce card and diffuser operate smoothly – again a good quality feel. The hinged lid for the battery compartment takes a little to get used to. It is probably quite strong but I prefer the slot in battery cassette used in the Di466. The i40’s battery lid is a little odd in its closing motion, requiring a push down and slide action. The controls are simple and easy to use. I have heard reports of some samples of the i40 lettering wearing off as it is printed directly onto the plastic. I think the flash strength dial is too easy to move but this is only used in the Manual and TTL modes. Unlike the Di466, you can manually control the flash zoom for lenses that don’t transmit focal length information to the camera. Instructions on how to use this feature are revealed by sliding the bounce card up. Nice feature. I am not a big fan of the push in flash release on the back. I prefer lever style lock/releases but this one locks automatically and you just have to remember to hold/pull the flash out while pushing in at the same time. I have never minded the old style rotating lock as on the Di466, but the i40’s system is certainly quicker to get up into action when slotting the flash in the shoe. BTW, the flash shoe is metal while that on the Di466 is plastic. All up, fairly impressive. About the only thing missing would be backlit lettering for the two control dials – that would have turned a great little flash into something truly outstanding. Small and light. 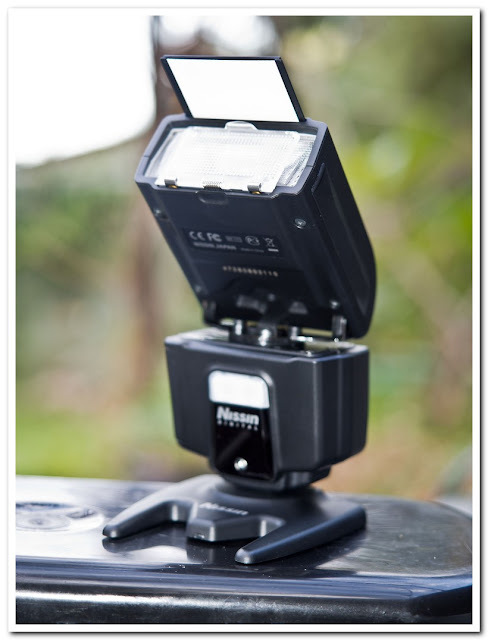 The i40 would have to be pretty much the lightest and smallest 4-battery rotating/swivel head flash on the market. Even the lower power and lesser featured Di466 is around 20 to 25% bigger than the Nissin i40. The i40 is an excellent match in size for the Olympus Pen and OM-D cameras (and obviously the equivalent Panasonic models). The Nissin Di466 on the left and the i40 on the right. The flash power of the i40 is up a little over the Di466 with a guide number of 40 (metres) at ISO100 compared to 33. Both of these are when zoomed to an equivalent of 105mm (53mm on Olympus cameras). Interestingly, the i40 has a guide number of 32 at 25mm so that’s quite good for a “standard” focal length. The flash covers 12mm without the diffuser and the diffuser probably covers the claimed 8mm (I didn’t test it any wider than 10.5mm). This power of flash is quite adequate if you are also prepared to up the ISO or use faster lenses. For the average user, it will be certainly adequate and is strong enough to use as a bounce flash. As usual on Olympus cameras, by default, the flash under-exposes a little. Going to TTL mode and adding +1 compensation works fine but if there is any chance of highlights blowing out, you may as well use post-processing to brighten the image a bit. This is not a criticism of the flash – just the way Olympus seems to have set up their cameras for external flash units. Head tilted up at 60 degrees, bounced off ceiling and walls as well as the built in bounce card. 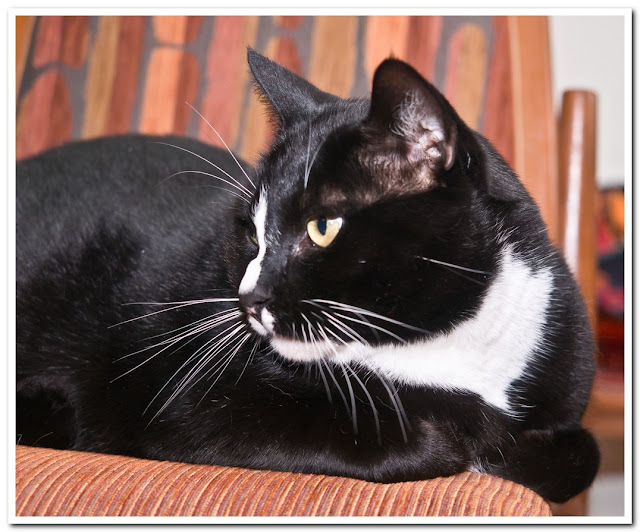 Haruki the cat was quite impressed. F/2.8 at 1/80s and ISO200. Recycle times are good at no more than 4 seconds from complete discharge with my normal rechargeable NiMH batteries. When left on auto, or TTL with the default 0 compensation (presumably 1/16th of full power, you can fire off multiple shots without and wait. Left at these settings, I could fire off about 5 shots at 2fps before the flash missed a shot. Shooting in manual mode at 1/64th power, I fired off 20 shots at 2fps and the flash did not miss a beat – the camera slowed down as the RAW buffer was filled. It took me ages to work this one out. Entering the FP-High-Speed Sync mode is not intuitive. You must turn on the flash and then hold down the pilot light for 3 seconds. The indicator next to the mode dial starts flashing and you are in the FP-HSS mode. On the Olympus OM-D E-M5, a FP symbol will display near the top-right corner of the display. I Googled this but couldn’t find any information – only a lot of posts on discussion forums indicating people could not set a sync speed higher than 1/200s on the OM-D E-M5. Just another point worth mentioning about the Olympus OM-D E-M5. 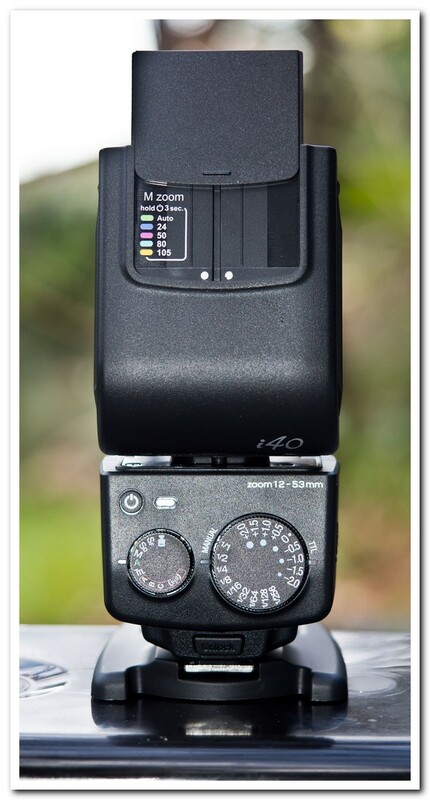 Why is it that this camera only supports the claimed 1/250s on certain flash units like the Olympus FL-600R? The supplied flash only goes to 1/160s which is even worse. That’s just plain whacky. I have used the FP-HSS mode indoors with faster lenses and at higher ISO and it works fine at balancing backgrounds with fill lighting. In use, I didn’t find any of the under exposure you get in the standard modes but then I guess that is to be expected as you are exposing for non-flash light settings and using the flash for filling in the shadows. FP-HSS mode - 1/500s and f/2.8 at ISO1600. The flash has not obliterated the detail and the background is properly exposed. Without FP-HSS, the background would have been underexposed. I expect the flash will work quite well in semi-shade and average outdoor lighting as well too. At higher shutter speeds, obviously the light output in this mode would be greatly reduced so I wouldn’t be surprised that it may be a little challenged in strong sunlight, but who knows? Certainly there is a much greater scope of balancing fill lighting outdoors with the higher sync speeds and I can seem myself having a little fun experimenting. Now that raises the issue of the wireless modes - unless you have a second FP-HSS flash with the OM-D E-M5, you cannot do it. The supplied flash does not support this mode and you are therefore limited to 1/160s when using this with the flash off camera and triggered by the little accessory flip up flash. Off camera use with a cable is also an option without a second FP-HSS mode flash for the trigger and you can use a standard Canon compatible hot-shoe cable to do the job. Like all the Nissin flash units I have (Di466 Four Thirds and Di622 MkII for Nikon) it possesses an inbuilt optical slave trigger that works very well for both pre-flash and first flash use in a multiple flash setup. It also has built in wireless flash triggering that works in any of 3 channels controlled by the camera/master flash. The little clip on unit supplied with the Olympus OM-D E-M5 provides that functionality; however, if you want FP-HSS flash synchronisation for your remote i40 flash you need another i40 or a flash unit like the Olympus FL-600R. 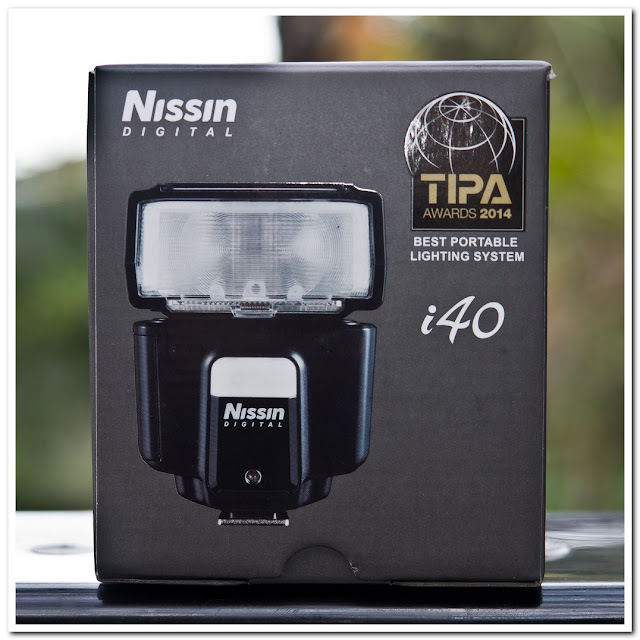 The Nissin i40 represents great value for money. 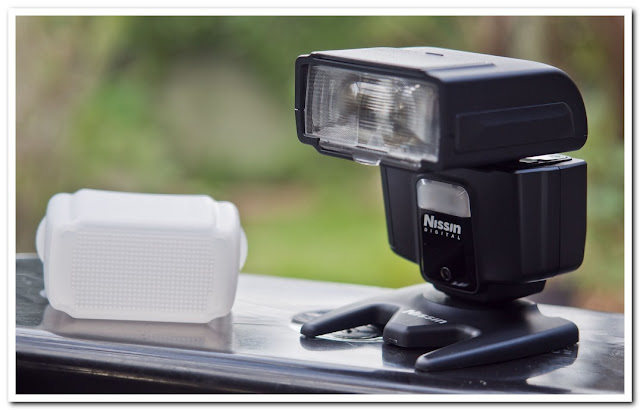 If you want a low-cost but versatile flash, then there is no better value than the Nissin i40.